I did mention recently how much I love my reusable snack bags. Snack Taxi was the first brand which I acquired and use. They generously sent me a set several months ago to try out, and we love them. The reusable bags are made of 100 percent cotton outer with nylon lining, hook and loop closure and made in the USA. You can find many more designs and prints at their site here. Stasher is another brand of reusable snack bags which I've reviewed earlier and you can find it here. They recently sent me their snack size stasher which we absolutely love. It's smaller than the original stasher and is perfect for snacks. Pinwheels are among the foods that Nikolai loves. Often I use bread which I slightly flatten with a rolling pin before adding the fillings. I also use tortilla if we have them on hand, which is slightly easier as the tortilla does not require rolling. 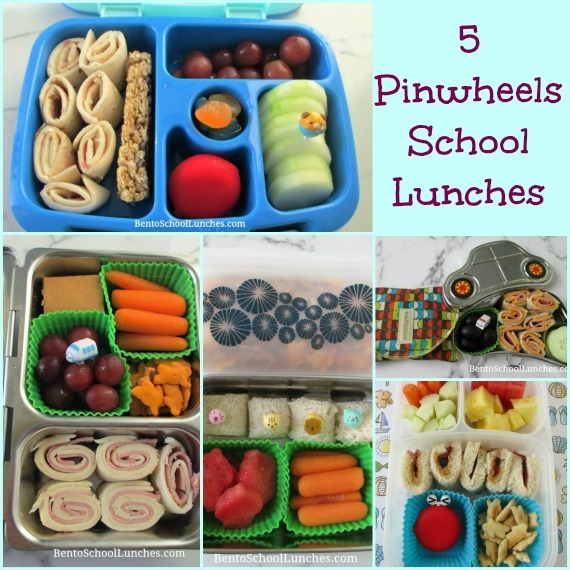 I'm also sharing one of my failed pinwheels lunches, which you will find if you scroll down towards the end. That morning I was way in a hurry and didn't bother to roll the bread so that was how it turned our - failed! Fortunately, it was still a yummy lunch, Nikolai didn't mind, and came home with an empty lunchbox which made my day. Bento lunch 1: Ham and cheese pinwheels, cucumber slices and seedless grapes in a round silicone cup with a cute pick. This lunch is packed in a Happy Tiffin lunchbox. On the side is our SnackTaxi reusable bag which contains Annie's organic crackers. 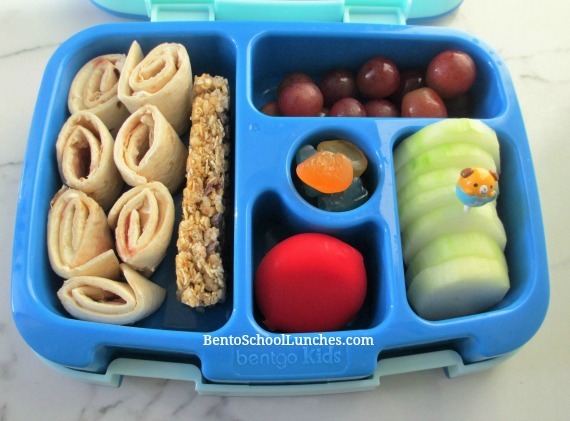 Bento lunch 2: Cream cheese and jam tortilla pinwheels with an organic granola bar in the main section. Sides were Babybel cheese, fruit snacks, seedless red grapes and cucumber slices with a cute pick. This lunch is packed in a Bentgo leak-proof lunchbox. 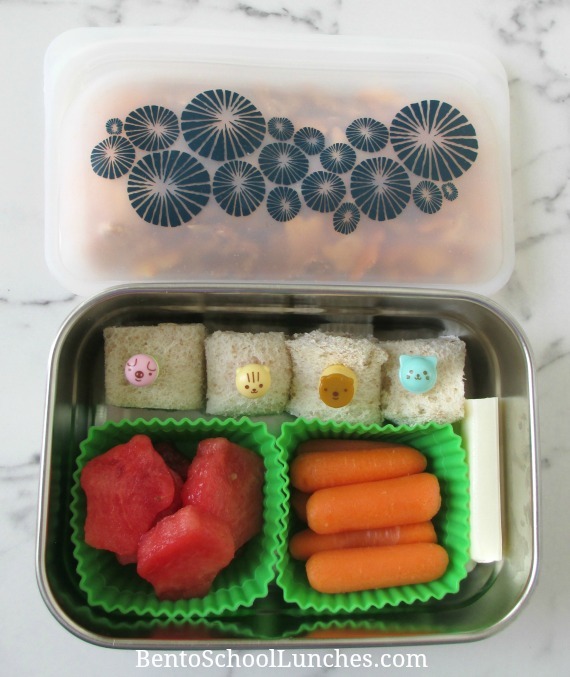 Bento lunch 3: Pinwheels with cute animal face picks, organic baby carrots, watermelon slices cut into cupcake shapes in my favorite square silicone cups. On the side is a string cheese cut into half. 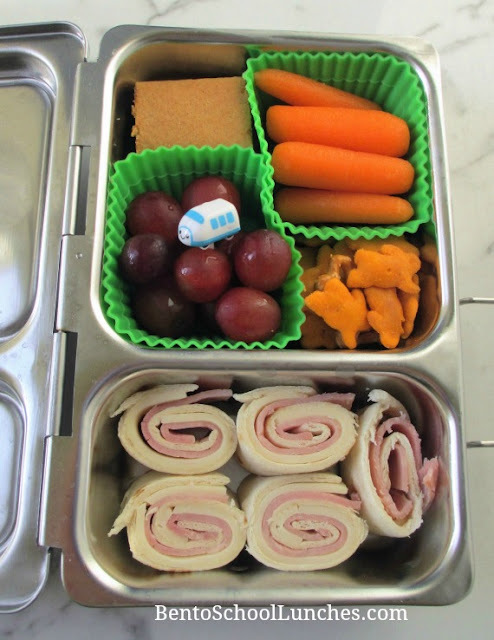 This lunch is packed in our leak-proof stainless steel splash Ecolunchbox. As for snack, he had Annie's organic crackers in our new stasher reusable snack bag. We love this bag! 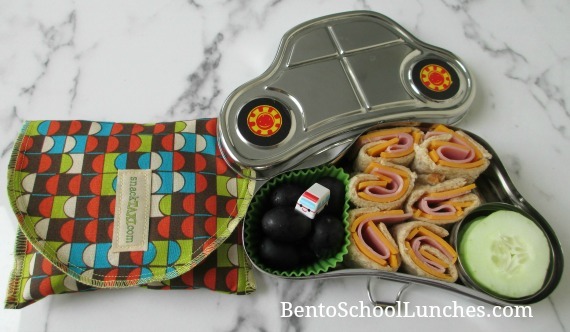 Bento lunch 4: Ham and cheese tortilla pinwheels. Sides were organic baby carrots, grapes in square silicone cups, cereal bar cut into half and cheddar snacks. This lunch is packed in a Planetbox shuttle. Bento lunch 5: This is the lunch which I mentioned above. SunButter and jam pinwheels which failed. Annie's organic snack and Babybel cheese with an eye food pick in square silicone cups. Sides were cucumber sticks, baby carrots, pineapple and watermelon chunks. This lunch is packed in an Easylunchboxes. 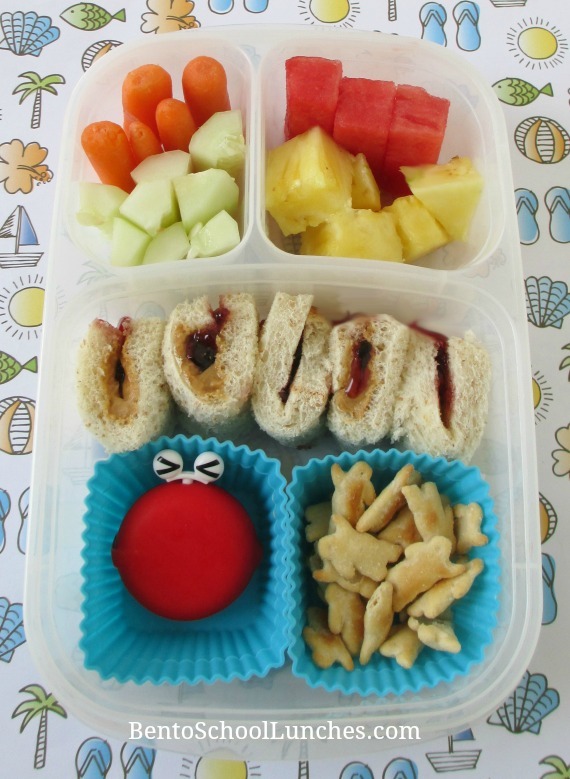 My kids would love these lunches! They look great & easy for me to create.